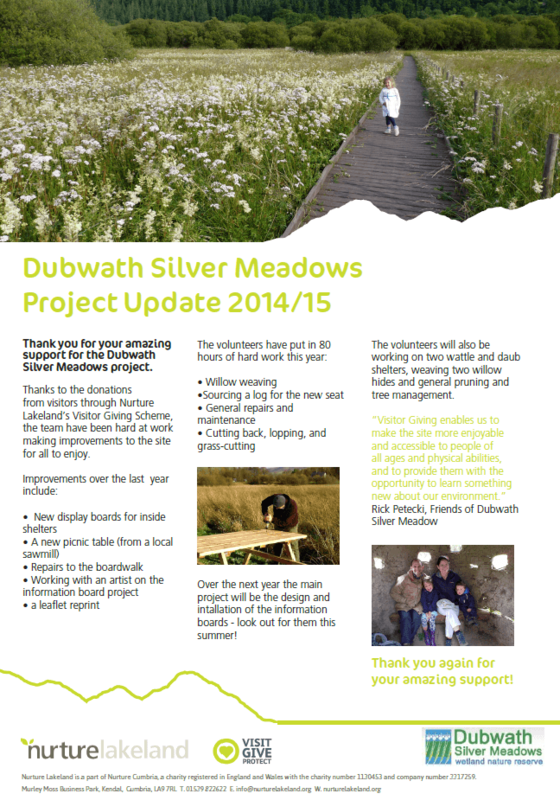 Dubwath Silver Meadows is a new nature reserve which has been created as part of the Heritage Lottery funded Bassenthwaite Reflections programme. This seven hectares wetland site was once part of Bassenthwaite Lake and is now home to a range of special wetland flora and fauna. There are access-for-all paths and boardwalks which take you around the site. Walk through living Willow Hides and stop off at replica Celtic and Norse style shelters. Look out for rare and not so rare plants, flowers and birds and if you’re quiet you could come across the resident roe deer or maybe even a badger if you come at night! Be very quiet and you may spot the Red Squirrels feeding at their hazel nut feeders! Whatever the season, there’s always something to captivate and inspire.